"I was a little surprised to discover that these brands had all existed pretty much in silos." In an interview with USA Today, Time Inc.’s chief content officer Alan Murray explained that one of the ways he thinks Time Inc. can flourish is through teamwork. 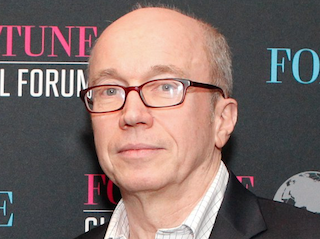 Murray, who was elevated to his role in July, said he was caught off-guard when he learned that line of thinking was new to Time Inc.
Murray said he’s trying to change that because otherwise Time Inc. is wasting opportunities.